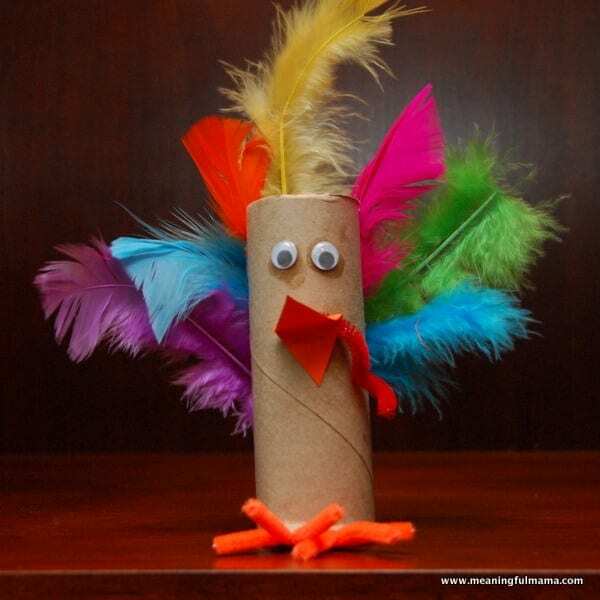 You probably have seen a toilet paper roll turkey, and I hope you’ll enjoy our version. Kenzie didn’t feel like making it today, and I don’t try and push it. 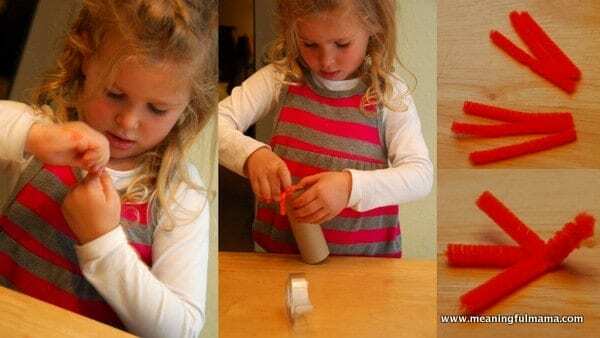 You’ll want to cut 6 pieces of of pipe cleaner. Twist one end together. Then, attach them to the inside with hot glue or tape. We stuck with tape. I had to cut little notches in the cardboard so the toilet paper roll would sit flat. I used the scissors to weight the paper towel down so that Abby could attach the eyes. 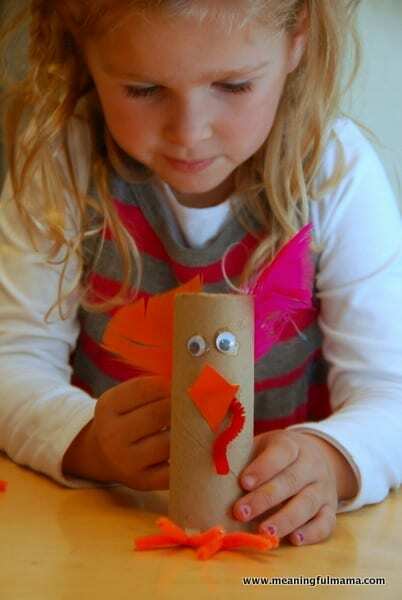 She also glued down the beak and the gobble. The gobble is still attached just fine, but I know it would solidify better with hot glue. The final step is to add the feathers. We made it simple by attaching with tape. 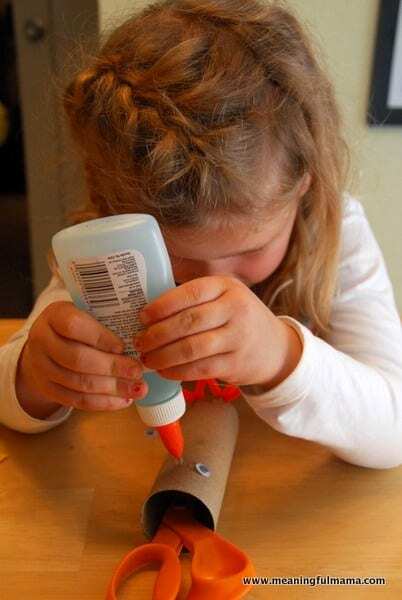 If you want to take your time and wait for it to dry, you can use Elmer’s glue. Another option is hot glue, but then the kids don’t get to help as much.